Every girl needs to know these things. 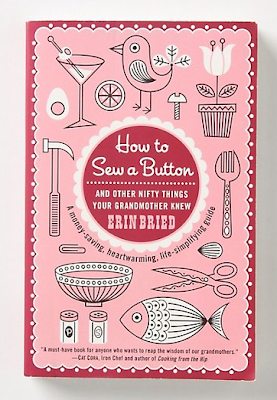 Book from Anthropologie. For the past week, I've been away from the blogging world due to the dreaded pink eye. It's miserable and gross and for someone who prefers contacts to glasses ten times over, it's pure hell. Mostly because I can't see a foot in front of me without aid of some sort of lens. Unfortunately, it has mostly been by the aid of glasses this week. If only they had been rose-colored glasses, I might have enjoyed them more. Alas, they are teal frames and clear lenses. At least it inspired this post! Normally, I have an aversion to pink since I have blonde hair and light eyes and fear that wearing Pantone's lovely Honeysuckle hue for 2011 will make me look a bit like Barbie (or probably Skipper rather since I am short). However, I have found myself liking a paler, blush tone of pink lately and even realized when it comes to pink, I only have this one ethereal tone in my closet. I think blush is a grown-up alternative to the prettiness that is pink. Here are a few adorable, girly, sophisticated pink things that really make me want to go to Paris for some reason now. Probably because of the frilly dress and macarons. 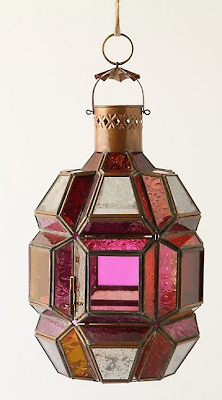 I can't help loving Moroccan inspired items. This lantern with pink glass is fresh and modern and very girly. It also comes in equally pretty blue and green from Anthropologie. Photo from Anthropologie website. 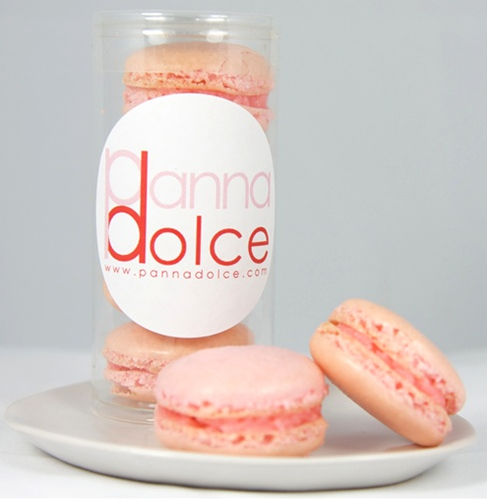 Even the flavor of this macaron sounds delicate and pretty: Vanilla Rose from Panna Dolce. I plan on making a little stop at Whole Foods to find these. Photo from Panna Dolce website. Made with fruit juice and sparkling water, Izze esque is a lower calorie drink. I think the Black Raspberry flavor sounds delectable. Photo from Izze website. Drink your Izze esque, eat your vanilla rose macarons and read your book by pink lantern light while wearing this floaty pink number from Lulus. It will make you feel like a sophisticate. As long as you avoid pink eye. That is not elegant in the least. Photo from Lulus website.